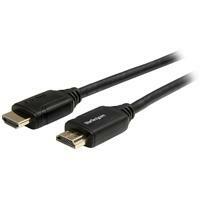 This 2-meter High Speed HDMI® cable has been tested in accordance with the Premium HDMI Cable Certification Program. 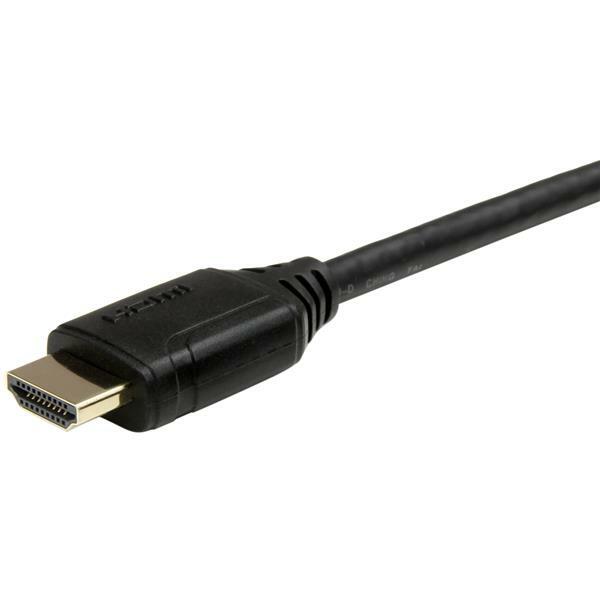 This ensures it’s able to deliver the newest technical features that the latest HDMI specifications have to offer, including enhanced resolutions and protection against EMI interference. I got this cable to go with my new 4K blue ray player. Works well with great picture and sound quality. The cable is good quality and thick but pliable enough to bend around corners. Connections are a good tight fit with little chance of accidentally falling off. Does exactly what it's supposed to. I received this product in exchange for an unbiased review. 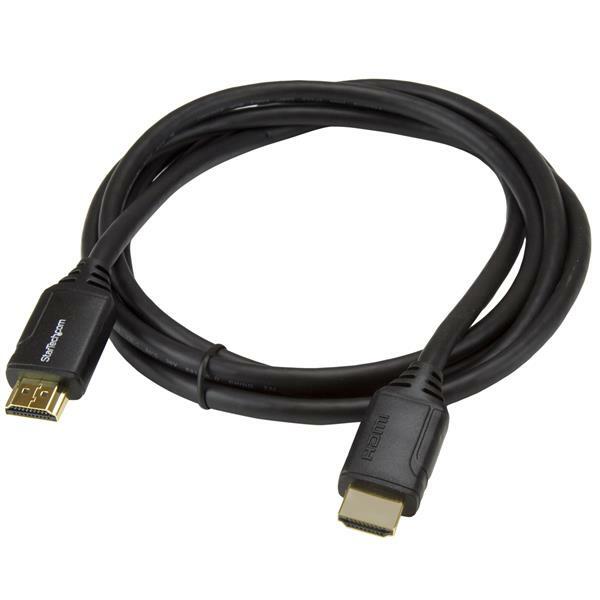 I connected my XBox to my television using this HDMI cable. The cable itself fit snugly into both connection ports. The cable itself was flexible enough to route behind the bookcase without the worry of buckling it. Where the cable meets the connector is well supported with flexible ribbing that allows enough rotation to position the end properly. I tested running the signal from my Mac (DVI out) to the television using HDMI using the 4-in-1 adapter pictured and all was well. Good fit, no signal issues. I have been using this product for a few weeks and have connected multiple devices. It has been working well with my HD projector, 4k TV, laptop, Xbox One S, AV Receiver, all with no problems. The cable comes in a box, which is different from most other cables that come in a bag. Seems to take up more space and takes more time to get out as it is secured in pretty well. The cable is thick enough to be substantial but very flexible. The ends are also thick but not too big like other brands. The connectors insert securely into devices very firmly and will likely never fall out. This is the perfect balance of everything I expect from a quality cable. One wish is for the cable to be labeled with its capabilities. I have a pile of HDMI cables and I can't tell which one works with 4K and which don't. So far I am very happy with this product and will use it for my primary devices from now on. I received this product in exchange for an unbiased review.